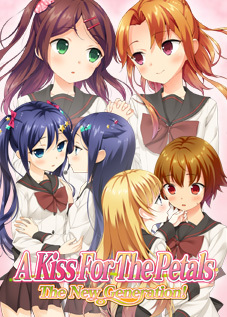 Fuguriya has announced a visual novel titled A Kiss For The Petals Revolution! – Rinagisa (その花びらにくちづけを　れぼりゅーしょん！ りなぎさ Sono Hanabira ni Kuchizuke wo Revolution! 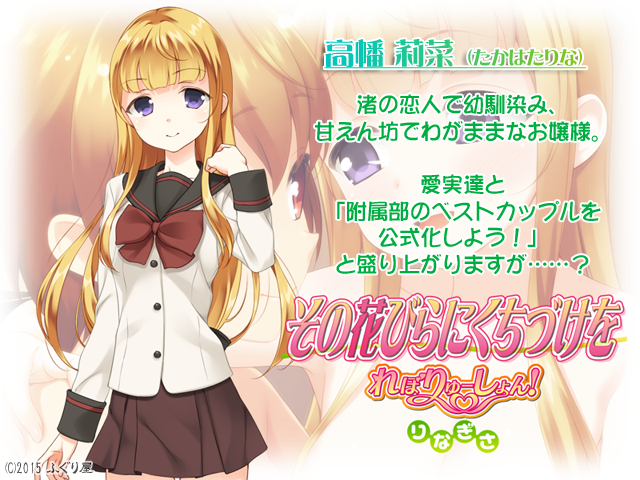 Rinagisa), a direct sequel to A Kiss For The Petals – The New Generation, for release on 25 December 2015 in online markets and 31 December 2015 during Comiket 89. This visual novel features Rina and Nagisa and is the first of three visual novels to follow The New Generation. 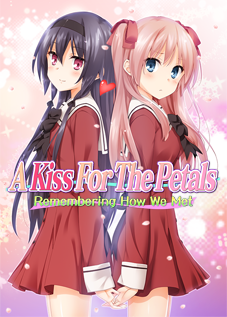 This is the first visual novel release in the main A Kiss For The Petals series released by Fuguriya since Lily Platinum in 2010, excluding Anata ni Chikau Ai in 2014, which was released as a supplementary storyline to a larger product. 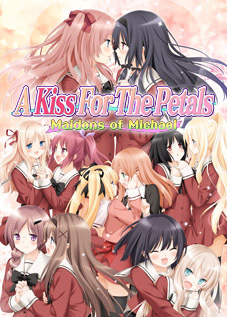 The reasons for this title’s release through Fuguriya and not St. Michael Girls’ School are currently unclear. The writer for The New Generation, Madoka Madoka, announced a hiatus this August for personal reasons. She will be replaced by previous writers JUN and Hiyoshi Hiyori, who wrote the stories in the main “red label” series. Ralen has translated the announcement page. Most of the images in the announcement post are not safe for work. See Petals’ Garden on Tumblr or the original announcement for images. The original announcement also includes voice samples. 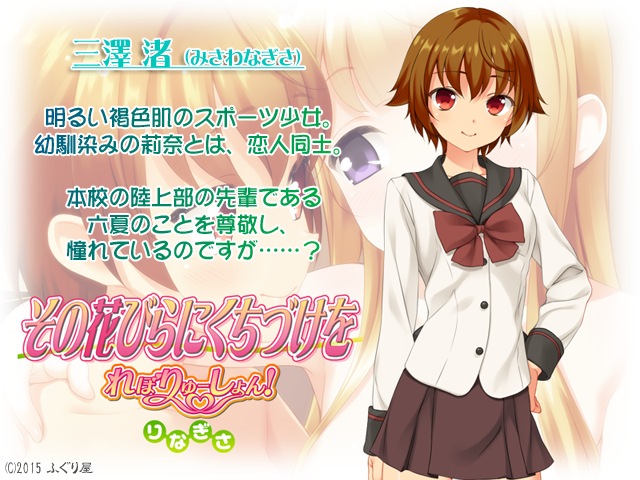 The doujin game circle Fuguriya’s 12th foray is once again a yuri romantic comedy! A Kiss For The Petals – Revolution! – Rinagisa! A sequel to the commercial game, A Kiss For The Petals – The New Generation! By some strange circumstance, Nagisa has incurred the wrath of her lover, Rina. She does everything she can to try and apologize, but Rina simply won’t hear it. Nagisa gets caught having a little too much fun with Rikka, her senior on the track and field team whom she idolizes. Seeing them like this, Rina goes into a jealous rage! She storms out of the room with Manami and Ai. Nagisa tries everything she can to apologize, but Rina won’t hear it. A bright, tanned girl who’s into sports. In a relationship with her childhood friend, Rina. Nagisa’s childhood friend and lover, she’s a pushy princess who always gets what she wants.